In individual cases, the release (discharge) of the debtor from personal liability for his or her debts is usually the paramount goal of the filing. The general rule is that an individual debtor obtains a discharge of his dischargeable debts in a Chapter 7 case. He obtains the desired "fresh start". This happens in probably 99% of the cases. Partnership and corporate debtors do not receive such discharges. The discharge will not be entered until the debtor files proof of completion of the required financial management course. A debtor can be denied a discharge under Section 727 of the Code if he has engaged in certain types of fraud or other misconduct, including: failure to keep adequate books and records; failure to satisfactorily explain a loss or deficiency of assets; commission of a bankruptcy crime such as perjury and making a false oath or account; failure to cooperate with the trustee or other officer of the estate; and making a transfer of property within one year prior to the bankruptcy filing with the intent to hinder, delay and defraud creditors. The procedure to deny a discharge is for the trustee, creditor, or Office of the United States Trustee to file a complaint to deny discharge, within approximately 90 days after the bankruptcy filing. The law favors granting the debtor a fresh start, and the grounds to deny discharge are thus narrowly construed. 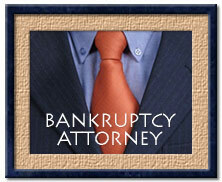 At any trial on such a complaint, the law requires the attendance of the debtor. Under Code Section 727(d), a discharge can be revoked if it was obtained through fraud of the debtor, if the debtor acquired property and knowingly and fraudulently failed to report it to the trustee or surrender it, or if the debtor makes a material misstatement or fails to provide documents or other information in connection with an audit of the case. Such a complaint is generally required to be filed within one year after the entry of the discharge. The bankruptcy discharge usually does not erase or cancel liens on property, which generally pass through bankruptcy unaltered. In such situations, the debtor is relieved of personal liability on the debt, but after the bankruptcy case is over the creditor is permitted to have recourse to its collateral, via foreclosure or repossession in accordance with applicable state law. 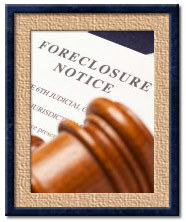 The debtor files a Statement of Intention with the Court, indicating what he intends to do with respect to secured property claims. The options are generally: surrender of the collateral; redemption of the collateral by payment of fair market value; or retention of the collateral via reaffirmation or other arrangement acceptable to the creditor.